1. La Jolla UTC is a vibrant community that offers great live-work-play options. Whether you are into shopping, dining out with friends, or just relaxing on the beach, there’s something for everyone in this lively community. The Westfield UTC mall, presenting its expansion in October, will feature additional 250,000 square feet of dining, shopping and entertainment space. Nordstrom will be unveiled as a two-story venue that will span 145,000 square feet. Among the new tenants are luxury furniture-maker Arhaus, MAC Cosmetics, clothes line Marine Layer, jewelry designer Swarovski, footwear retailer ECCO and upscale Larsen’s Steakhouse. Outside, numerous new gardens, a Pop Jet water fountain for kids, an art walk and outdoor plazas will complete the experience. Beyond the mall boundaries, world-class recreational activities such as biking, golfing, hiking, surfing, parasailing are complemented by social events, posh movie theaters and great restaurants, such as the highly anticipated Red O Restaurant at The Plaza. 2. 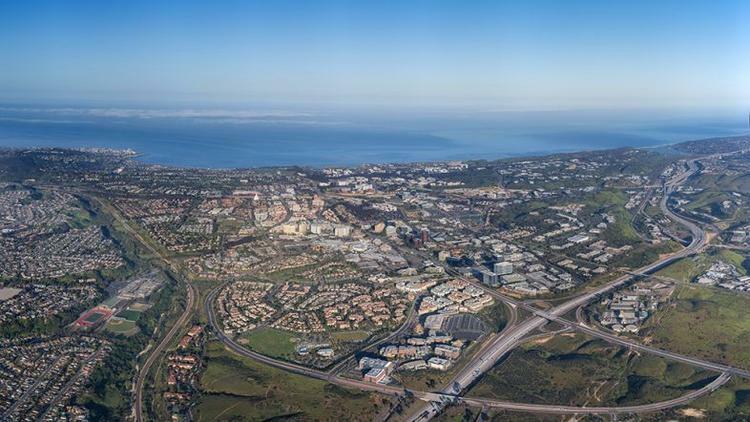 The new transportation hub, innovative workplaces and proximity to UCSD help attract top talent. According to Pew Research, millennials now have officially surpassed Baby Boomers to become the nation’s largest living generation. This is the group that tends to work to live, rather than live to work, so features such as a full-service gym or a common social area become additional assets during the recruitment process. Millennials also redefine the meaning of transportation, more than ever choosing ride-sharing options, public transportation and biking. An answer to their needs is the upcoming investment by the San Diego Association of Governments (SANDAG) which will extend the Trolley line to La Jolla UTC from downtown. 3. 10 minutes from the beach. While all of the above are convincing reasons to consider La Jolla UTC, there’s something to be said about being able to bike to the beach after work to watch the sunset. That emotional connection to La Jolla UTC – the place to live, work and play – is undeniable.